The Keysight 34307A thermocouple kit contains 10 J-type thermocouples. 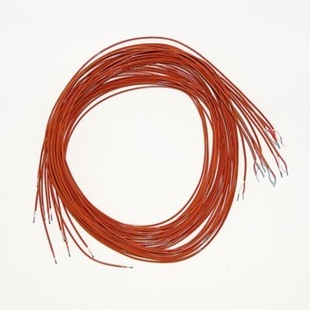 Each thermocouple is 180 cm (72 inches) long. The Keysight 34307A is compatible with the Keysight 34970A Data Acquistion/Switch Unit. The 34307A can also be used with the Keysight 34401A, 34460A or 34461A, however, an external program is required to convert the voltage measurements to temperature and an ice bath or electronic reference junction must be used.